All of us will have seen a Martyn Goddard photograph. Of that I am certain. The issue is, of course, did you KNOW that it was one of his? All too often we are guilty of looking at an image and thinking “that’s nice” and then moving on without pausing. This book is certainly one that makes you pause. 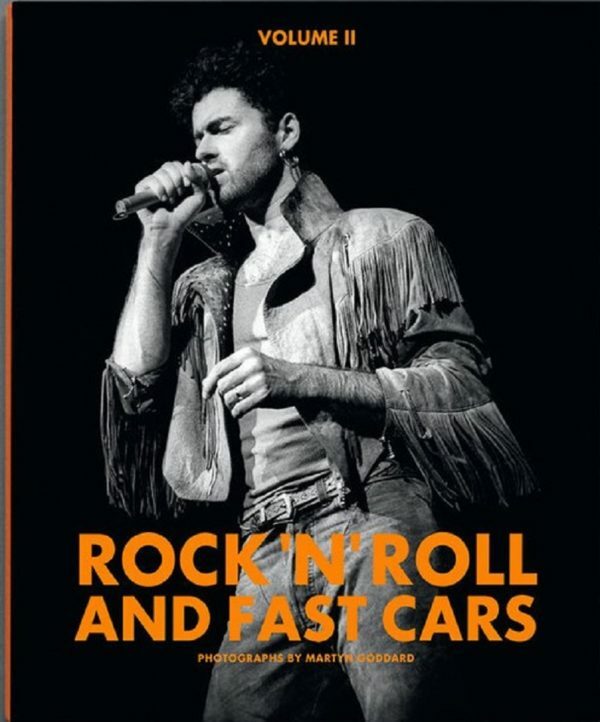 In fact it demands that you immerse yourself in a lavish selection of Martyn’s work, including not just “fast cars” but also their almost indispensable running-mate – rock and roll. This well produced, large format hardback is split almost exactly down the middle into music-themed images and car ones. If the first 72 pages of music legends such as Wham!, Bryan Ferry, Chuck Berry et al are not immediately to your taste, I would implore you to look through them. Contained here within are some astonishingly candid and intimate pictures of people whose music and behaviour have shaped our lives over the last five decades. You will also see immediately how Martyn’s style developed and how it flows seamlessly to his car photography. Sub-titled “Fast Cars 1976 – 2017” this second half of the book is a visual feast for anyone who appreciates fine cars and the skill of a great photographer. Martyn’s images take us into racing paddocks with the likes of Senna, and then through concept cars like the Ital Design Aztec and onto events such as Le Mans and the Mille Miglia. The reproduction is superb and the warmth of light and skill of composition leaps from each succeeding image. This is more than a coffee table book of great photography, however, as in the words which accompany the images he explains how and where and why and what for all of the shots – placing them into a contextual narrative of not just the book, but of his own life and career. A true gem, this – and really rather cheap at £35. Or, if you hanker after more, buyable with Volume I at a bargain £55 inclusive of carriage. Price: £35. 144 pages, hardback. Published in 2017. 1st Edition.